From DONGMANLI comes this retro, antique style Norse / Viking themed ring for men. Ideal for casual and formal occasions such as work, parties, Cosplay, everyday wear, etc. 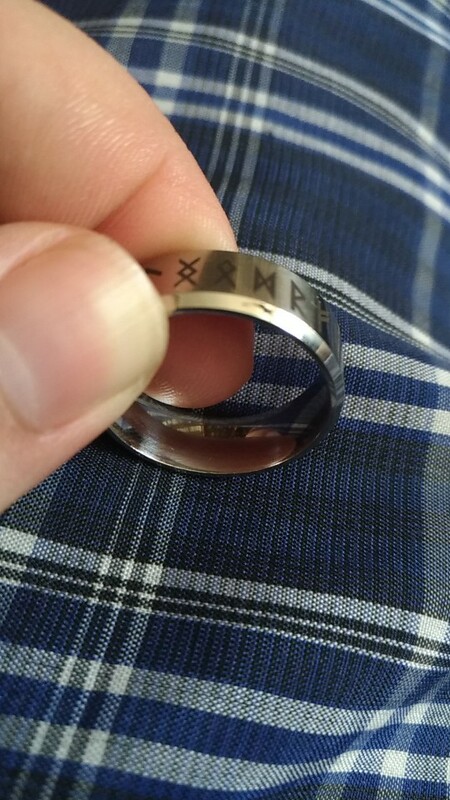 The ring is made from stainless steel, engraved with Norse Runes with a polished finish. The result is a simple yet stunning looking ring. Отличное кольцо. Сделано аккуратно, размер соответствует. Руны- как на фото.